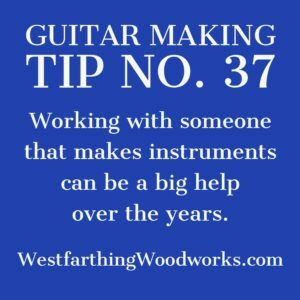 Guitar making tip number 37 is about working with someone who also makes instruments. 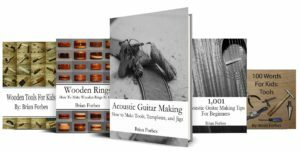 If you have the opportunity to work with another instrument maker, this can be a huge resource for your development. Books and online resources are great, but it’s hard to beat a real person to talk to. Here is why. 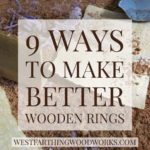 If you have the opportunity to work with an instrument maker, you need to jump all over it and start learning from them. 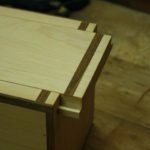 Making instruments is different from other types of woodworking in the fine details. Having someone help with those details can help you advance much faster in many cases. 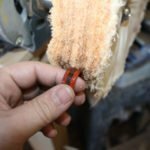 There are many instrument makers in the world, and there are sure to be people that live near you who build. It can take time to meet those people, but you can do a few things to advance the process. Joining a forum online, especially one that is from your country can be a way to meet new people. 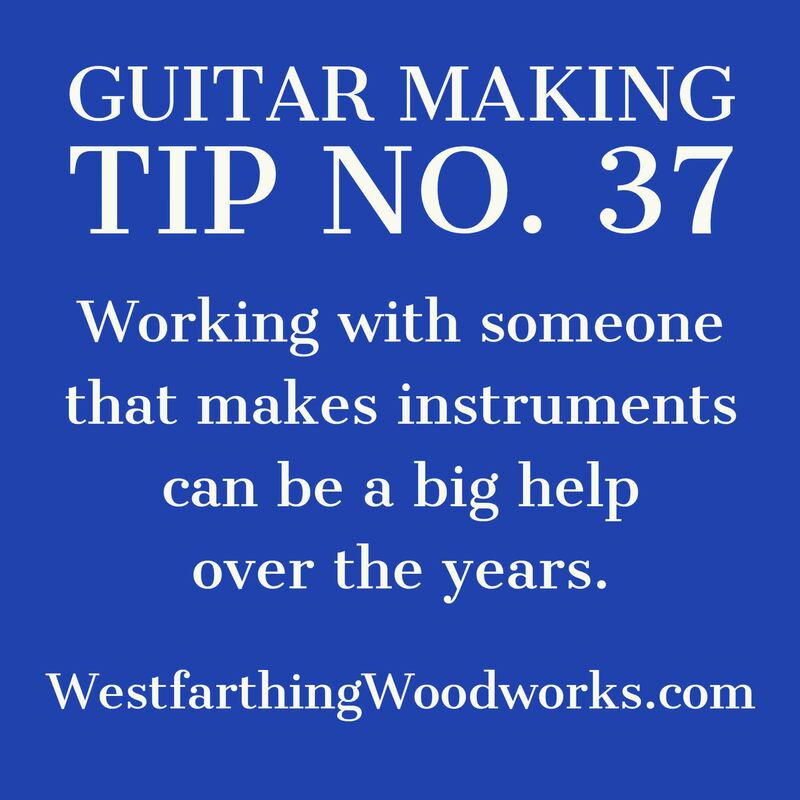 Also, if you have a Guitar Making supplier or a guitar building school near you, frequent place and get to know people. A person can do something for you that a book cannot. A person can answer a question that you ask of them. A book may have the answer inside, but it’s not as easy to retrieve as when asking an expert a question. Also, you cannot directly ask your question and you can’t modify the question for better understanding. When you are working with a person and something comes up, all you need to do is ask. This is huge, because you get instant feedback on where you are missing out. With a book, you have to wait until that part is covered and clarified again, though sometimes it may not come up a second time. I love books. 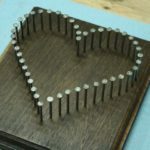 As of this post I have written five of them. With all my love for books, there is something so nice about getting instant feedback from a real person. 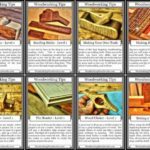 I still read like crazy, but if I have a really specific question, I try and go to someone that also builds and ask them. I don’t recommend that you rush to meet people online in person. There are some interesting people out there, and they all look nice when you meet them online. If you are going to meet with someone, make sure to do your homework first and be sure that you are safe. 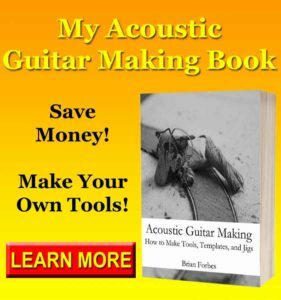 No guitar making tips are worth your life. However, there are a lot of great ways to meet someone online without having to meet them in person. A forum or a group online can be a really nice resource for asking questions. I recommend that you get involved and start reading the existing materials first before jumping in and firing off questions, but you will naturally build relationships in a forum. Also, joining a Facebook group, or having a group board in Pinterest can be a good way to meet and exchange ideas. You will advance yourself much faster in some cases when you can ask questions.